House Clearance Service In All Areas Barnoldswick Barrowford Brierfield Colne Earby Foulridge Trawden. Hi, Can i get an approx quote for clearing a three bedroom bungalow in Nelson – Pendle Lancashire? The property is absolutely cluttered with items that my mother has collected over the years, most of these items can be donated to charity as she shopped every day online, on high streets and from the tv, most of the items are still in there original packaging and shopping bags. I cannot emphasise how cluttered the property is, are you able to give me a quote over the phone or email or do you need to come out and have a look. 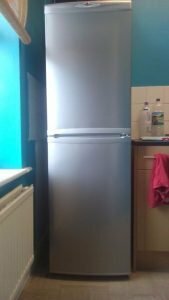 A tall standing silver Hoover two door fridge freezer. 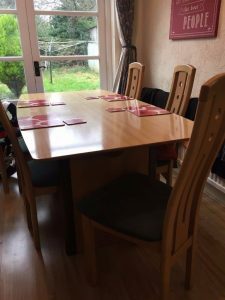 A large solid pine rectangular dining table, together with five matching high back dining chairs, upholstered to the seats in black fabric. 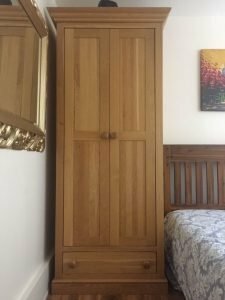 A tall standing solid oak double wardrobe, having one large storage drawer to the bottom. 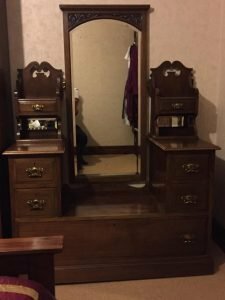 A Victorian style mahogany and oak drop well dressing table, having two small drawers above four medium drawers with one large drawer to the bottom. 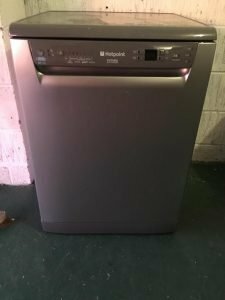 A space grey Hotpoint under counter dishwasher. 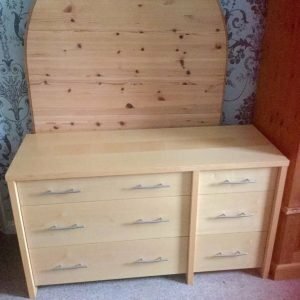 A large solid wood sideboard, having three large drawers aside three small drawers, each with long chrome handles. 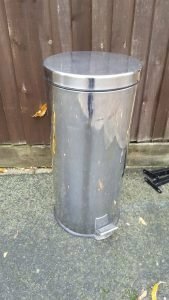 A tall standing 30L stainless steel pedal kitchen bin. 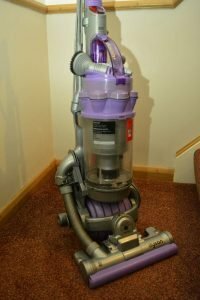 A grey and lilac Dyson DC15 Animal ball upright vacuum cleaner. 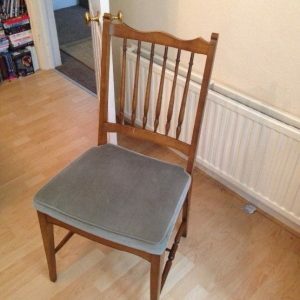 A vintage solid wood high back dining chair, upholstered to the seat in grey velour. 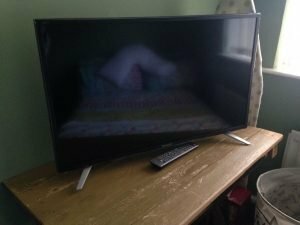 A black 32 inch Sharp flat screen HD television on a chrome base. 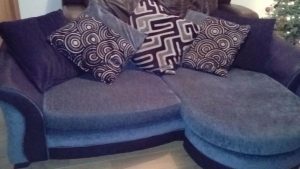 A three seater curved corner sofa on solid wood splayed legs, upholstered in black and grey fabric. 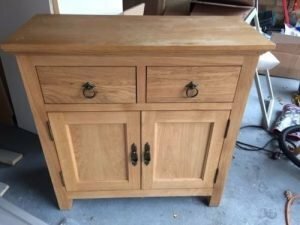 A small solid pine sideboard cabinet, having two drawers above a double cupboard, with cast iron handles. 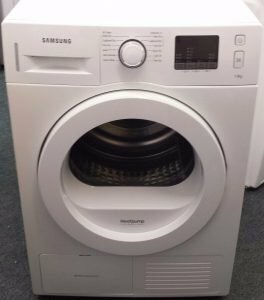 A white Samsung 7kg heat pump under counter condenser dryer. 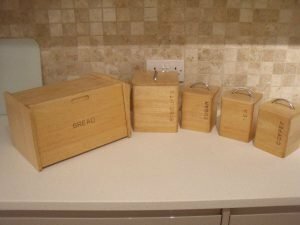 A collection of pine kitchen accessories, to include a bread bin, a biscuit barrel and tea, coffee and sugar canisters. 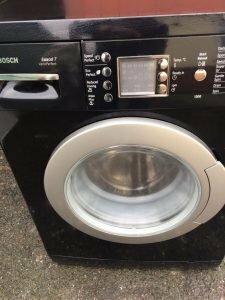 A high gloss black Bosch Excel 7kg black under counter washing machine. 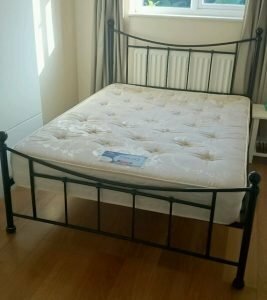 A black metal double bed frame, together with a double damask patterned mattress.